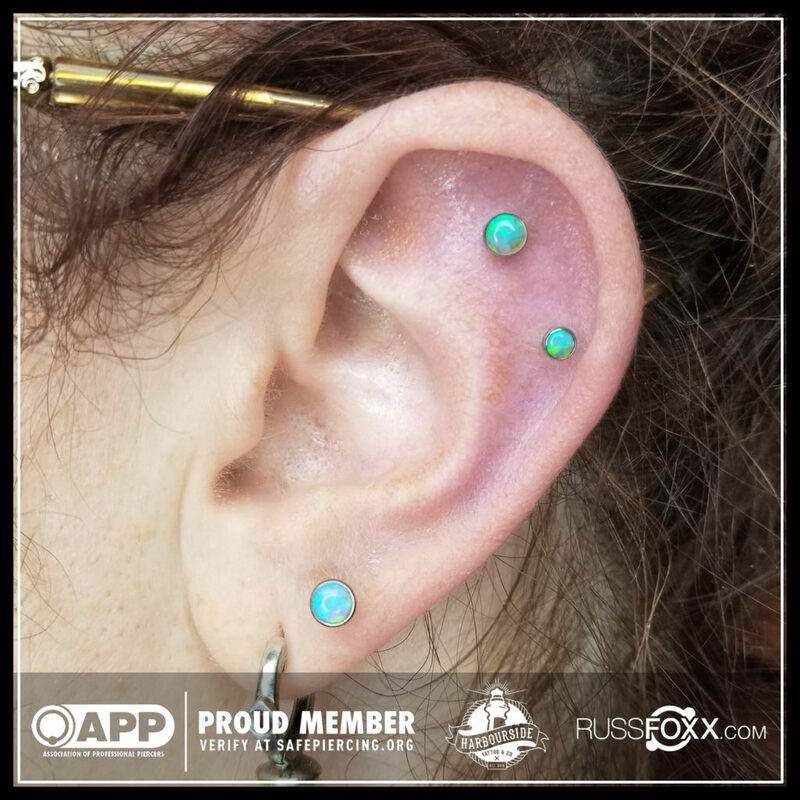 Our friend Regina just came by for a visit and had us install some new threadless synthetic opal pieces by NeoMetal Titanium Body Jewelry! Come check out our huge selection of ends and give your piercings some new personality! We’ve got faceted Swarovski gem ends in both bezel and prong settings in a wide range of colours, trinity and flower gem ends, tonnes of different sizes and types of lab-grown opals, 14k and 18k rose, white and yellow gold and more!